Born Joseph Aloysius Lynch on November 30, 1898 in New York, NY. 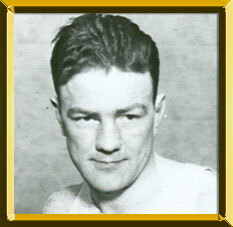 During an era replete with talented bantamweights, Lynch was one of the standouts. He turned pro in 1915 following a brief six-month amateur career. Tall for a 118-pounder, the 5'7 ½", Lynch appeared frail but was anything but. He possessed a hard right hand that was often set up by an effective left jab. An extremely active fighter, he fought as often as two or three times a week. Bouts with Memphis Pal Moore, Frankie Burns, Monte Attell, Johnny Ertle, Charles LeDoux, Abe Goldstein, Jack Sharkey, Kid Williams and Pete Herman propelled him to the top of the talented division. While in the Navy, Lynch boxed two bouts with flyweight Jimmy Wilde (Exh. L3, L15) in 1918 and 1919 respectively. Upon returning home in 1919, he was soon poised to box for the bantam title. On December 22, 1920 he defeated Pete Herman for the world championship, only to lose it back in 1921. Following a win over Midget Smith, he regained his lost laurels with a 14th-round TKO over Herman's conqueror, Johnny Buff. After a successful title defense over Smith he dropped the title to Abe Goldstein in 1924 in his next defense. Lynch continued to box, including two draws with rival Moore, before retiring from the ring in 1926 having competed in nearly 160 bouts (71-17-12, 57 ND (38KOs). In retirement he lived on a small farm in New City, NY, where he served as postmaster for many years. Lynch was also appointed a judge by the NYSAC. On August 1, 1965, Lynch died from accidental drowning in Sheepshead Bay, Brooklyn, NY.